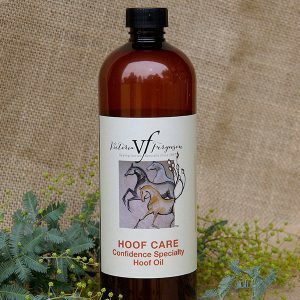 VF blend of infused herbal oils of Carrot Seed Comfrey and Linseed. 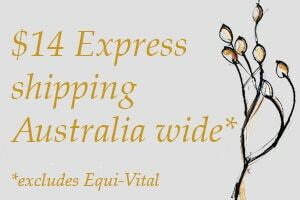 Protects hooves in dry and wet conditions. With regular use this oil nourished the hooves of our horses, preventing cracks and providing protection in both dry and wet conditions. 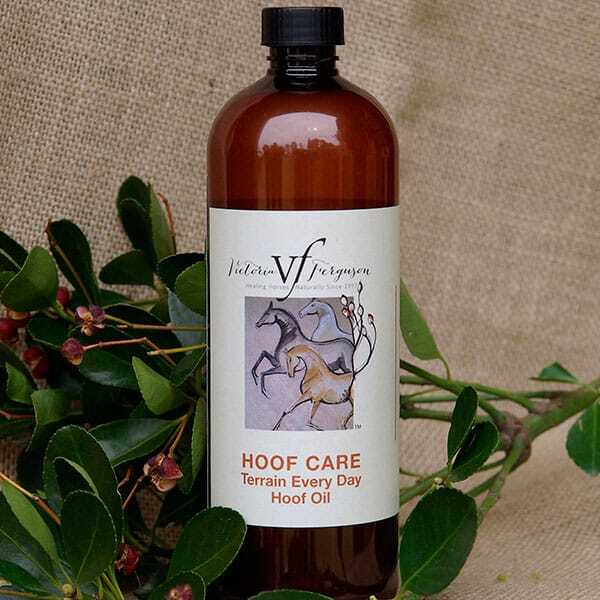 I purchased the Terrain Everyday Hoof Oil after finding it on a google search for products to help 1/4 cracks. My lovely boy developed a full length crack in late February 2018. I found this product in April and have used it 2-3 a week since then. By November the crack has almost grown out (another 1-2 shoe cycles and it should be gone) and barely visible. My biggest fear was it would continue to split upwards during the growing out phase but this didn’t happen. The product is also lovely to use, not messy or greasy and has a pleasant and subtle odour. 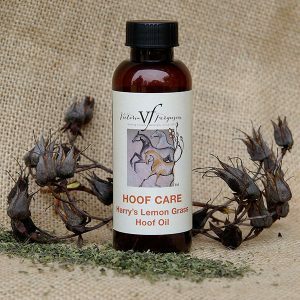 I also use it on my other horse who HATES hoof oils – if he sees them he will run away!! But if I let him smell this oil first he is happy for me to put it on him!!! Really highly recommend and will continue using it!